Make yourself at home in one of the air-conditioned rooms featuring refrigerators and flat-screen televisions. Complimentary wireless Internet access keeps you connected, and cable programming is available for your entertainment. Bathrooms have showers and complimentary toiletries. Conveniences include phones, as well as safes and minibars. With a stay at Hotel 1887 The New Opera House in Singapore (Chinatown), you'll be steps from Chinatown Heritage Center and 14 minutes by foot from Raffles Place. This hotel is 0.3 mi (0.4 km) from Singapore River and 0.6 mi (0.9 km) from Clarke Quay Central. With a stay at Hotel Mono in Singapore (Chinatown), you'll be within a 5-minute walk of Singapore River and Chinatown Heritage Center. This hotel is 0.7 mi (1.1 km) from Raffles Place and 0.4 mi (0.7 km) from Clarke Quay Central. An award-winning Green Hotel in the center of Singapore's Clarke Quay dining and entertainment hub. Conveniently located in Clarke Quay, just minutes away from the Singapore River, Robertson Quay and Central Business District, Holiday Inn Express Singapore Clarke Quay is within walking distance from the most trendy dining and nightlife options in the city. Situated just a 5 minutes’ walk from Clarke Quay MRT Station and Chinatown MRT Station, the hotel offers accessibility to all of Singapore's major attractions including Chinatown, Little India, Marina Bay Sands, or enjoy F1 Singapore, and more. Enjoy a spectacular city view from our rooftop 40m infinity pool, complete with Jacuzzis. Featuring 442 stylishly designed modern rooms with floor to ceiling windows. 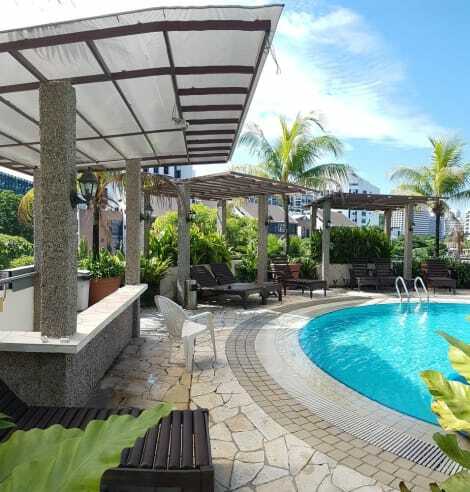 Holiday Inn Express Singapore Clarke Quay is the smart choice for savvy travellers who are looking for the best location combined with the best value, offering an affordable and hassle-free stay in Singapore. Start the day right with our Express Start Breakfast or Grab & Go option and stay connected with Wi-Fi access included throughout the hotel. Recharge throughout the day with refreshing drinks at Great Room Bar. Get the most out of your stay with our 24-hour fitness centre, self-service laundry facility and 10-person meeting room. At Fragrance Hotel - Riverside, enjoy a satisfying meal at the restaurant. Satisfy your appetite for dinner at the hotel's restaurant, The Sailors Restaurant, or stay in and take advantage of the room service (during limited hours). Quench your thirst with your favorite drink at the bar/lounge. A complimentary continental breakfast is served daily from 7 AM to 9:30 AM.